Campbelltown is only 35 kilometres from the heart of Sydney as the crow flies – yet growing up there in my formative years in the late ’60s through most of the 1970s, it may as well have been a world away. It was a timed and expensive STD phone call to the Big Smoke, and to get there by public transport was a train straight from a Hitchcock film, with those separate little compartments made for going on epic cross-continent adventures. Add sleeping berths and a food carriage and you’re on the poor man’s Orient Express. Like everywhere else in NSW, rugby league may as well have been the only winter sport in town. And as the area grew and expanded, it became a great nurturer of football talent. By the 1990s, rugby league was becoming less and less a sport that had been instituted for the working man and his family. It was more and more of a business, with some of the good, but also all of the bad which that entails. It culminated in News Corp forming a separate competition in 1997, taking some of the existing clubs with it and forming new ones. That league lasted one season before the then existing peak body, the ARL, combined with the Super League to form the NRL. Like all wars, there was collateral damage with the 1999 season seeing two new teams form as “joint ventures” – one between St George and Illawarra and another between North Sydney and Manly. But the fallout didn’t stop there. It continued one more year – this time with a forced Joint Venture between two foundation clubs; the Western Suburbs Magpies and the Balmain Tigers. 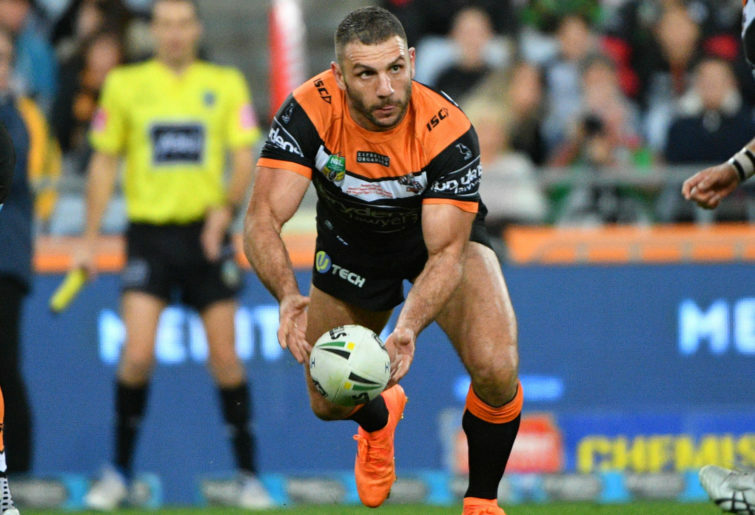 Western Suburbs’ problems actually go back to the early 1980s court battles to stay in the competition, and a move to Campbelltown which saw them survive until the end of the 1999 season prior to the 2000 birth of the new Wests Tigers. After the 2005 season when the team won the NRL grand final, the future seemed assured of much more success. But this has not been the case. The bright future quickly turned into a succession of bitter disappointments on the field and off, amid a growing feeling of the alleged 50/50 partnership becoming more and more lopsided. Commentators referred to the team as “Balmain”, with ex-Balmain players being the “go-to” interview subjects whenever comment was sought. 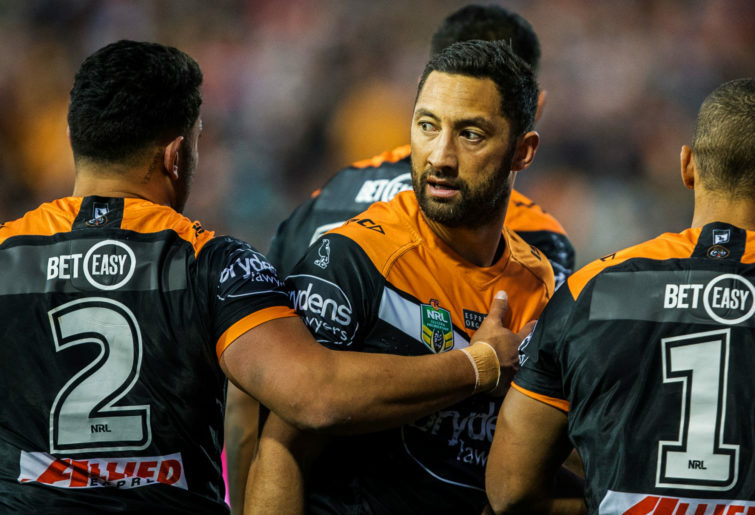 It has now sunk to Campbelltown being relegated to a paltry three games per year. In short, the Wests Tigers are no more than a rebranded “Balmain” with the Macarthur Region expected to keep young talent on tap with Campbelltown Sports Ground being treated as the home of the Unwanted Uncle you force yourself to visit once in a blue moon. All of this unevenness exists despite the Balmain half of the deal being in severe financial distress for several years, culminating in entering into voluntary administration in late October of 2018. The Western Suburbs half of the deal will continue to foot the bills. This has been the final straw for many Western Suburbs fans now calling for the Joint Venture to be annulled, with the return of their beloved Magpies to stand alone again in the premier competition. The major obstacle is the Wests Ashfield Leagues Club board, determined to see the Wests Tigers as the only possible future. More equitable treatment of Wests may or may not have seen this current push staved off. We will never know. The nature of puerile and partisan politics is partly to blame. It has seen the flowering of many a good intention literally nipped in the bud. And that is what is happening with Wests Ashfield and the NRL. The mindset is mind-boggling; the machinations within the club, excruciating; the self-deceit in declaring they actually look after the Macarthur area, pure Trumpian. It is now just a local call to phone the city from Campbelltown. Trains from and to there are plentiful and modern. New and better roads have been built into and across the district. Infrastructure has boomed, even if not always keeping pace with the population growth. In short, we are no longer in 1968, Dorothy! But that is seemingly where Wests Ashfield and the NRL are stuck, at least when it comes to the Magpies and the Macarthur district. The Macarthur Magpies is the future and we have secured the rights to the name for any future team willing to call Campbelltown home. The current population of Campbelltown is 167,468 and is forecast to reach over 275,000 by 2036. Across the whole region, the population is expected to nudge 600,00 by that same year. Meanwhile, soccer is about to establish a team in Campbelltown for their national A-League competition and Campbelltown Council would love nothing better than to have the stadium used all year round. Other major centres outside of Sydney, such as Newcastle, show that a regional centre can and will, get behind national teams in more than one code or sport. With the NRL talking about additional teams and or a restructured competition for 2022, now is the time to have the conversation about really doing something meaningful in Macarthur. Now is the time to make plans and put down roots in one of the greatest rugby league nurseries ever. But that conversation cannot be allowed to be behind locked doors among the Old Boys clubs and networks. It has to be an open forum and include the fans. After all, isn’t the game supposed to be for that particular stakeholder above all others? In fact, this could be just part of a much bigger conversation about the long-term future of the game itself and it’s ongoing relevance in the swirling diorama that is sport in Australia. The Bring Back the Magpies Committee will be holding a family day at Campbelltown Bowling Club on February 16 starting at 11:00 am. There will be talks, pass the ball competitions and a sausage sizzle. The Macarthur region deserves a presence in the national competition. Help us make that point by turning out in numbers. If you are unable to come along, you can also voice your opinion directly to the NRL and to Wests Ashfield Leagues club.